During Lent we are exploring the various ways in which the work of LOVE is accomplished. Each Sunday in Lent we will view and reflect upon a video that tells a story of LOVE’s embodiment in the world. 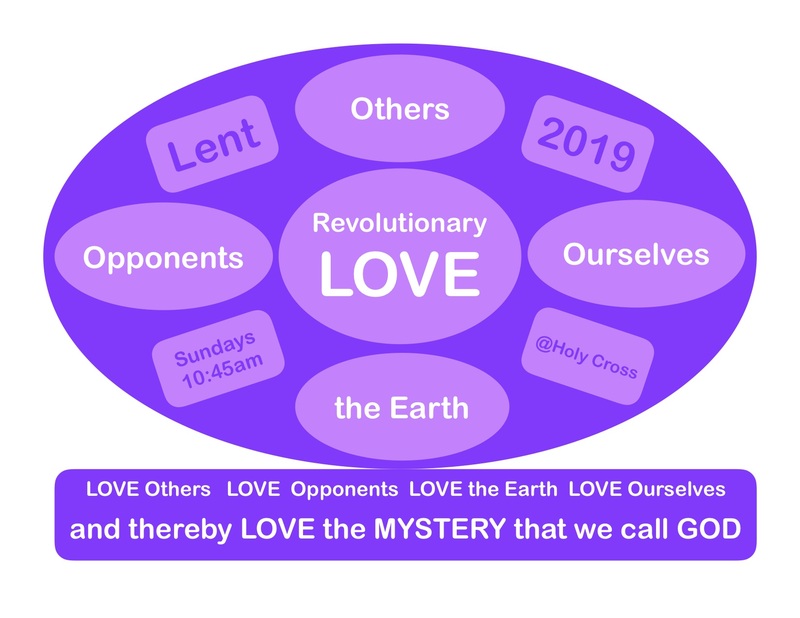 Revolutionary LOVE calls us to love, others, love our opponents, love the Earth, love ourselves and thereby LOVE the MYSTERY that we call God. Today, Rabbi Sharon Brous’ TEDtalk: “It’s time to reclaim religion” holds a paradox in tension: “I am dust and ashes.” and “For me the world was created.” Watch the video and remind yourself that you are dust and ashes and for you the world was created. Then watch our reflections upon Rabbi Brous’ reclamation of religion from the dual scourge of extremism and routinism. I am strong! I am mighty! I can do something! the MYSTERY that we call God. a choice we make over and over again. Our LOVER, BELOVED, and LOVE Herself. This entry was posted in Adult Education, Evolutionary Christianity, HOLY CROSS LUTHERAN, Progressive Theology, STORIES, Theology and tagged progressive christian theology, progressive Lent 3C, progressive spirituality, reclaiming religion, Revolutionary LOVE, Sharon Brous, spiritual but not religious by Rev. Dawn Hutchings. Bookmark the permalink. Thank you Pastor Dawn Hutchigs for making this available to us all.